Do you spell it “doughnut” or “donut”? Doesn’t matter. Either way, I made some. I’ve recently become obsessed with Fab.com. A little while ago I bought a few new baking pans from a sale Norpro was having there – a square cupcake pan, a mini cheesecake pan, and, yes, a mini doughnut pan. I am in love. 1. Preheat oven to 325F. Lightly grease your doughnut pan. 2. In a large bowl, combine flour, baking powder, cocoa, and coffee. Set aside. 3. In a medium bowl, mix eggs, sugar, vanilla, milk, and oil. 4. Pour wet into dry and mix until a thick batter forms. 5. Fill the pan 2/3 full and bake 8 min. 6. 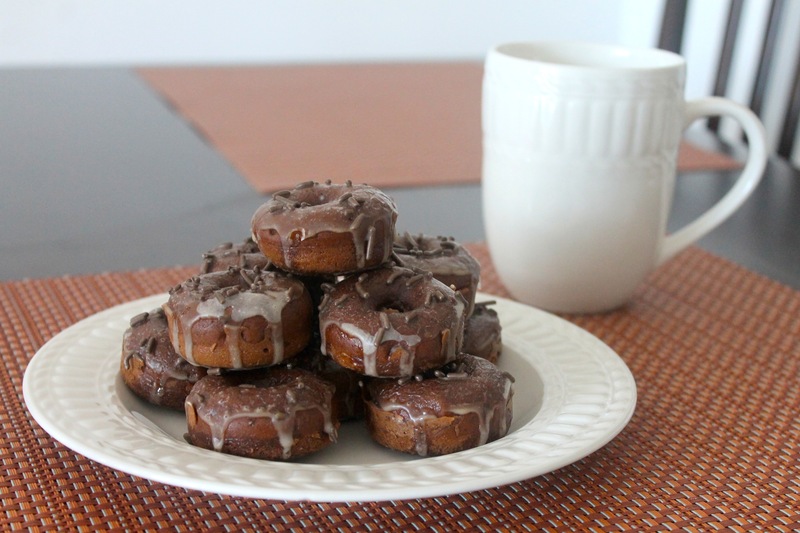 Once doughnuts are cool, stir coffee into powdered sugar in a small bowl. 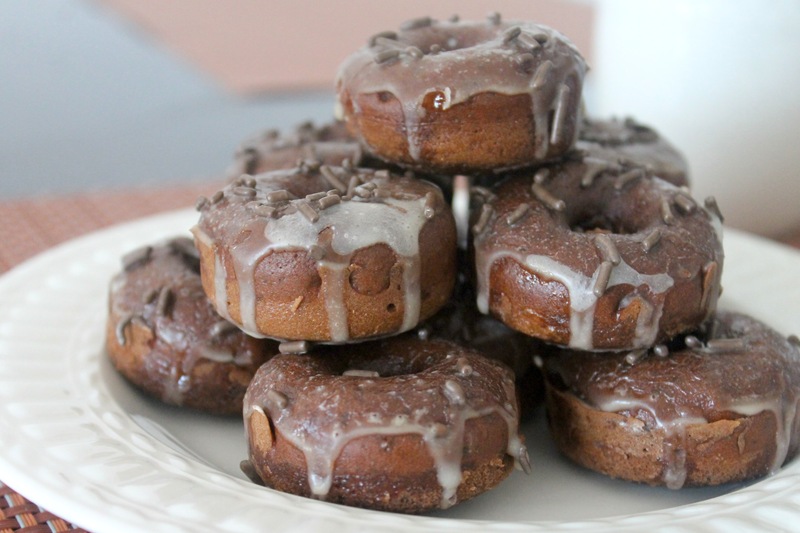 Dip the tops of the doughnuts in the glaze. Top with chocolate sprinkles if desired. These are teeny tiny, but very dense. This entry was posted in Breakfast, Dessert and tagged chocolate, coffee by Alyssa G. Bookmark the permalink.